Since Robocop 2 generally flopped, I didn’t expect to see another entry in the series. I was wrong, as 1993 brought Robocop 3. However, it didn’t resuscitate the series. It did much worse than 2 with a gross of only $10 million. With its “PG-13” rating, it also lost the grittiness of the first two and tried to make the bloody world of Robocop more family friendly. Granted, I don’t think David Lean could have done anything with the silly mush that is Robocop 3. I knew I was in for trouble when I saw an in-movie display that misspelled “Anne” for Lewis as “Ann”. That’s badly sloppy and sets the stage for a far below average movie. Unfortunately, you won’t be able to put out of your mind all the cheesy elements. Whereas the original presented some real human drama and emotion, 3 just goes for cheap sentiment. Lewis dies for no reason other than an attempt to create some feeling. It doesn’t happen, and her demise works as nothing other than a seedy gimmick. Allen’s presence comes across as more of a contractual obligation than a real role; I get the impression she agreed to appear in this dud only if they made it difficult for her to be stuck in a Robocop 4 unless they turned her into a cyborg. With each film, we lose more and more members of the original cast and crew. As noted, Allen makes a gratuitous appearance, and Peter Weller finally finds a way out of the continuing nightmare. Robert Burke makes for an able doppelganger and looks a lot like Weller, but he doesn’t bring the same gravity to the role. He seems to be in the role just for the physical resemblance, as it isn’t much of an actor. 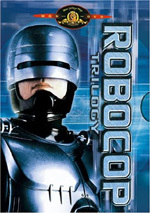 Robocop 3 appears in an aspect ratio of approximately 1.85:1 on this single-sided, double-layered DVD; the image has been enhanced for 16X9 televisions. The most attractive picture of the three flicks, Robocop 3 showed a few issues but not too many. Sharpness consistently looked good. A few small examples of softness popped up at times, but these remained infrequent. For the most part, the film seemed nicely detailed and well defined. I saw no concerns with jagged edges or moiré effects, and only some light edge enhancement cropped up at times. Print flaws remained minor. A few specks cropped up, but that was about it, as the movie mostly looked clean. While the world of Robocop didn’t present a terribly varied palette, the movie’s colors looked fine. The hues were nicely clean and distinctive, and they consistently remained accurate and tight. Black levels also were deep and firm, while low-light shots appeared clear and well rendered. Overall, the image looked solid. The Dolby Digital 5.1 also worked pretty well, but it displayed some inconsistencies. The soundfield demonstrated a fairly heavy orientation toward the front channels. They presented nice stereo imaging for the music as well as the effects, which showed good delineation and movement. The surrounds added a generally positive level of interaction, particularly during the movie’s many action scenes. Those demonstrated a lot of material from the surrounds, though the forward domain still dominated. While Robocop includes some nice supplements, don’t expect much from the sequels. All we find is the film’s trailer. The “Robocop Trilogy” package also presents an eight-page booklet with information about all three movies, though. 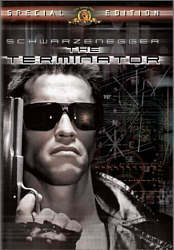 It offers some production notes plus trivia and cast listings for the three flicks. Hopefully Robocop 3 marks the last flick in the series, as both sequels failed to even remotely approach the highs of the original. 3 shows a decline from the crummy 2, which I didn’t think was possible. The DVD presents very good picture plus generally decent but erratic audio and no real supplements. As a film, Robocop 3 is a mess, and I can’t recommend this terrible flick. Note that the version I reviewed appears as part of the “Robocop Trilogy” 3-DVD set. However, it also can be purchased individually.